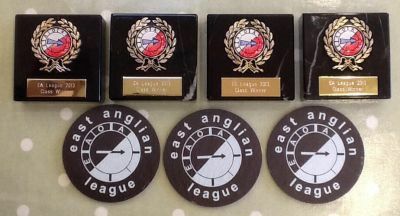 The East Anglian League is a competition for the most consistent performers at events in the region, with each club nominating one event per year. You do not need to register to compete in the East Anglian League, you just need to run a course in one of the designated events and your points will be automatically calculated if you belong to an EA club. At the end of the year, your overall score is determined by adding up the four best scores over the year. You must also have attended a minimum of three events to qualify for overall positions. Full details of the rules, including the scoring system and class/age mapping, are available here. The League is administered by Tony Biggs (HAVOC).